Slung Low, Holbeck’s own theatre company, invite you to join them in their new performance space, The Concert Room at The Holbeck on Saturday (2 March 2019). To mark their arrival at The Holbeck they have gathered some of their most talented friends to create an evening showbiz splendour. Poets, a magician, musicians, comedians and a fire eater: starting at 7pm and going long into the night. With a supper served in the interval. What more could you ask for? Live music from Jamie Fletcher and her band, featuring drag queen Divina de Campo. “Fearsomely able improvisers” School of Night, who have been stunning and bewildering audiences all over the world with their high-wire improvised verse adventures. Writer and performance poet Kirsty Taylor tells stories and performs poetry inspired by her beloved city of Bradford. Léonie Higgins from Eggs Collective, playing some cello and singing some songs. 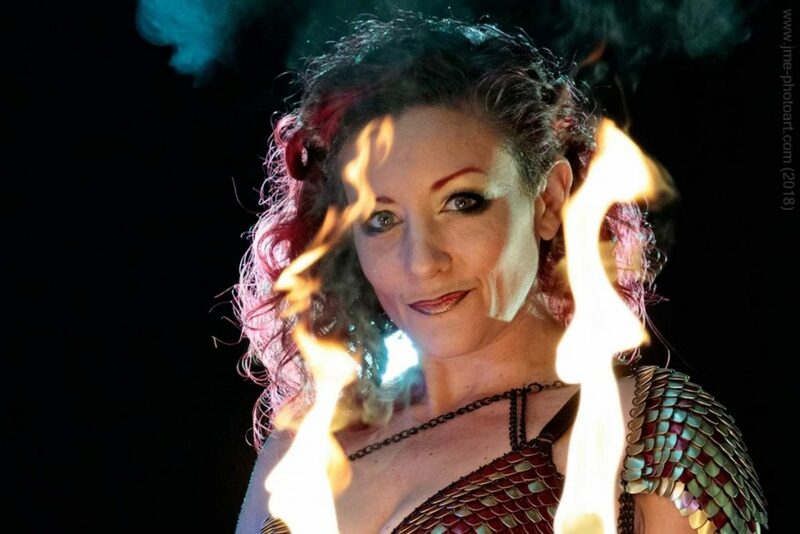 ‘Red Sarah, Mother of Dragons and headmistress of the fire school, with over 20 years experience of fire performance worldwide. Please note that the venue is cash only.